If you need any additional assistance regarding this event please contact the WSA Office at 800.532.4337. Is your team ready to compete with the best of the best at our Grand Nationals in New Orleans? This is your chance to win one of our At-Large Cheerleading Worlds bids, or even one of our PAID Cheerleading Worlds bids! If you know your team has what it takes to be the next Worlds’ champions, then it’s time to prove it. This competition is held in New Orleans at the Morial Convention Center. If you are looking for a fun area for your athletes and their families to explore, this venue is within walking distance of the Riverwalk, the French Quarter, Aquarium of the Americas, the National WWII Museum, and Mardi Gras World: The New Orleans Mardi Gras Museum. Contact Worldwide Spirit Association today to register your athletes for our Grand Nationals! This event will have Champion Image taking photos, the photos will be available for purchase at the event. For more information on Champion Image please visit their www.ChampionImage.com. We also encourage spectators to take and post photos/videos on our social media outlets. WSA hosts all of our events in large venues, typically convention halls, stadiums or arenas. As such, plenty of parking is typically available on-site or very close to the venue. However, this also means that there is often a parking fee. Any parking fees are charged and retained by the venue or parking lot owners. WSA does not have any control over parking fees or receive any proceeds from it. For the safety of the athletes and attendees, all schedules will be sent to gym owners/coaches. Please check with your coach for performance times. Teams should report to the warm-up area 15 minutes prior to their scheduled warm-up time. Special Athletes compete for FREE. All results are sent to gym owners/coaches within 72 hours after the competition. WSA will be offering Full Paid and At-Large bids to The Cheerleading Worlds for level 5 and 6 teams. 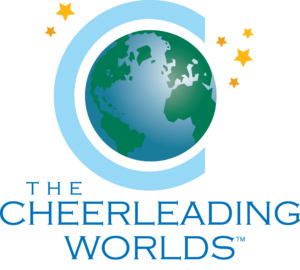 For Worlds bid eligibility a team must have their entire program attend a regional WSA Brand competition or at least 75% of the program must attend WSA Grand Nationals. If a program is located 150 miles or further from the any regional WSA Brand event, please call 225-291-2365 to speak with a representative. Thanks for choosing WSA and we look forward to seeing you!